This stylish and elegant bistro table has a modern, contemporary design that enhances any room it sits in. 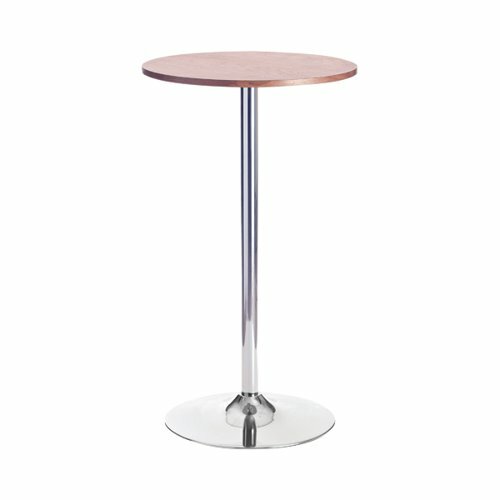 A smooth, round table top allows multiple people to sit around it while a long, chrome stem runs all the way down to a circular base. 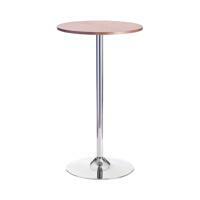 Made from durable material, it is not only sleek but durable as well, making it perfect for heavy, frequent use. The beech veneer top wipes clean easily for quick and efficient cleaning.